If you haven't had a chance to check out the open mic night at Witherbee's Carriage House -- you are missing out. The summer has been a stand out season, with both newbies and veterans wowing the ever growing crowd in the upstairs bar every Thursday night. And tonight you have the chance to hear one our favorites -- recording artist Linda Fayte -- perform some originals and covers. 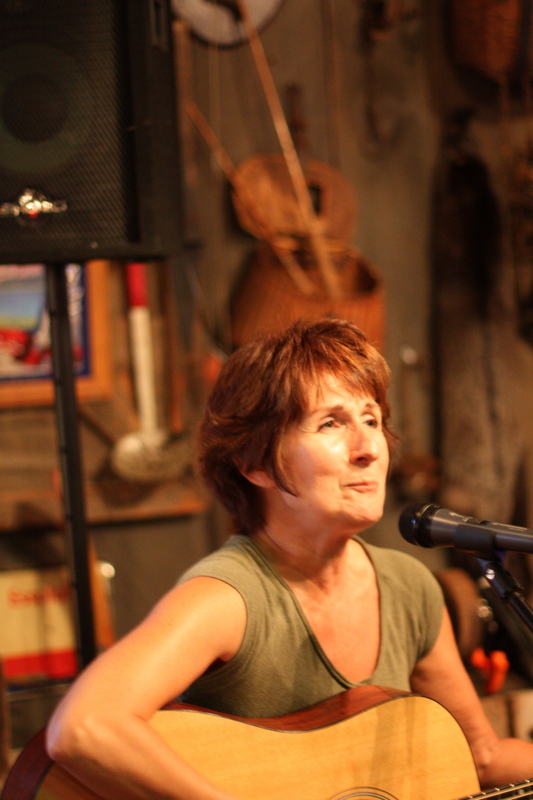 "I really enjoy playing at the open mic," Linda told Schroon Laker today. "The satisfaction for me comes from seeing the crowd listening and loving what I play." Linda, who hails from Lake George, first heard about the open mic from friends. "I was immedately impressed. It 's successful because of how Mark Piper (a talented musco and organizer) handles the muscians". Linda plays an eclectic mix of country, blue grass and some soft rock. Her influences are diverse -- from Niel Young, Norah Jones and Carole King. "It's because of Carole King I started playing guitar, when I was 14." And if you are lucky, you might also catch Linda doing a duet or two with another talenetd musco, Tom Brady, who hails from Bolton Landing. Will we see you there tonight?